I have been a fan of Science-Fiction and Fantasy for as long as I can remember. My early forays into the Dragonriders of Pern series, with cover art by Michel Whalen, prompted my first attempts to transport my ideas from my headspace into the real world. I’ve expanded my library considerably to include many other authors, artists, and genres in all the years since, and my admiration for the creators continues unbound. Over time I have become confident enough to enter into the field that has never ceased to inspire me. 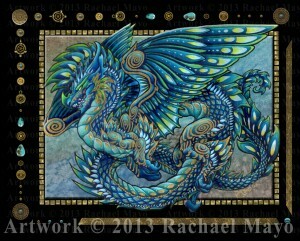 These last few years, I have concentrated on the SF and Fantasy art field more than anything else. 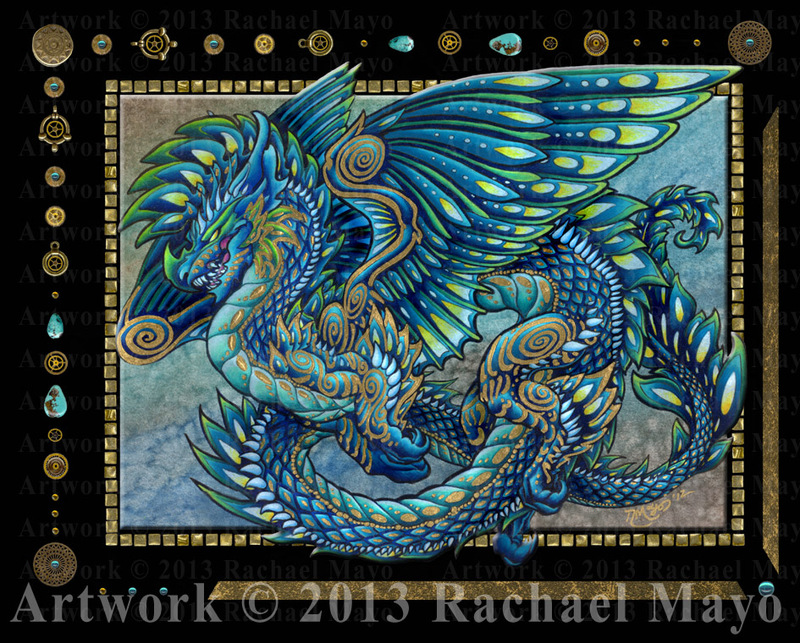 I draw a great deal for personal enjoyment, and my emphasis tends to be on detailed ornamentation of mythical creatures – especially dragons. I use pen and ink, watercolor, colored pencils, acrylics, stones, beads, watch gears, pearls, shiny bits… Really, just about anything that comes to hand, though I would consider myself primarily a colored pencil artist. I have created artwork for a number of small press publishers, including several cover illustrations for Hadley Rille Books, more than 160 interior illustrations for the Tremorworks: Demongate High Monster Manual, dozens of giant bug illustrations for the Hive, Queen and Country Victorian miniatures combat series, and numerous similar projects for other authors and creative folks, and also for private commissions. 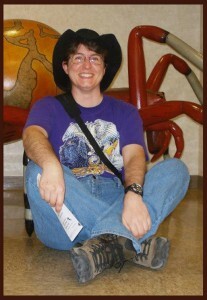 I show my artwork at SF and Fantasy conventions across the country, and had the pleasure of being the Artist Guest of Honor at Lunacon in 2011. I attend my Kansas City hometown convention, ConQuesT, every year, and I also attend the St. Louis/Collinsville convention, Archon, every year. I contribute to local art shows, including the Raytown Arts Festival and the Art/Work competition held by businesses and industries throughout the Kansas City metropolitan area. 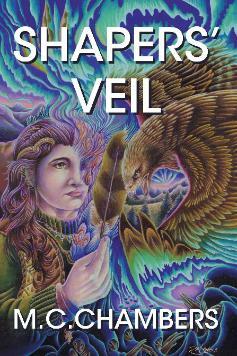 Shaper’s Veil by M.C. Chambers. Cover by Rachael Mayo. While my writing has slowed to a mere trickle lately, I have not given up on my desire to see my stories published one day. I will blow the dust off my ream of notes and chapter excerpts, resurrect the characters, images, and ideas that my first readings inspired, and allow them to again see the light of day – and the Red Pen of critique!